Carnival Collective brings its musical experience out in a wide variety of shapes and sizes. 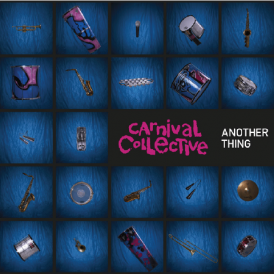 Carnival Collective perform as anything from a 12 piece combo for smaller venues, up to a 25-30 piece colossus that fills even the biggest club and festival stages. Whatever the size of the band, it always delivers a tidal wave of energetic music. The CC sounds range from live drum and bass, reggae and jungle to cumbia and swing, and are played on a vast bateria of Brazilian drums, with a fat horn section and dirty bass-lines, topped with beautiful vocal harmonies. Guaranteed to blow any crowd away! 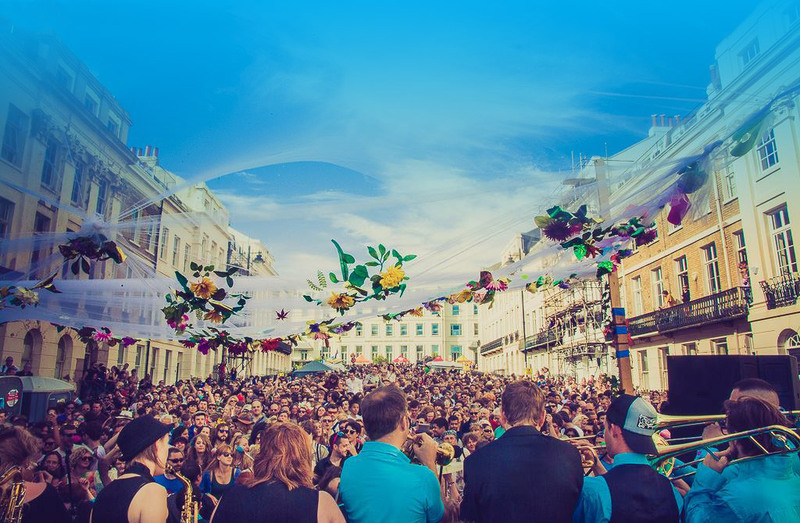 Carnival Collective members include a number of professional DJs who between them cover a wide and eclectic range of musical styles; funk, soul, hip-hop, disco, latin, afrobeat, bigbeat, house, dubstep, broken-beat and of course drum and bass. With many years of experience playing clubs and festivals as well as private parties and functions, the CC DJs can come alongside the band or as a formidable force in their own right. For parades and walkabouts, Carnival Collective goes out as a roaming band of drums and horns with anything from 5 to 30 musicians, depending on the size of the event. With the booming CC drum grooves and original brass melodies, it can be heard a mile off and injects energy into every crowd it meets. CC has a team of highly experienced and professional workshop leaders who teach music, dance and carnival arts. All are CRB checked, and regularly work with adults and children of all ages, abilities and levels of experience. They deliver workshops for team-building events, schools and colleges, community drumming groups and private parties. They also provide valuable CPD sessions for educators. Music workshops include Brazilian samba drumming, African percussion, Stomp-style body percussion and junk percussion. Dance workshops involve a fusion of traditional Brazilian moves and western street dance. Carnival arts workshops consist of creating Rio-style masks and costumes and producing musical instruments from recycled materials.